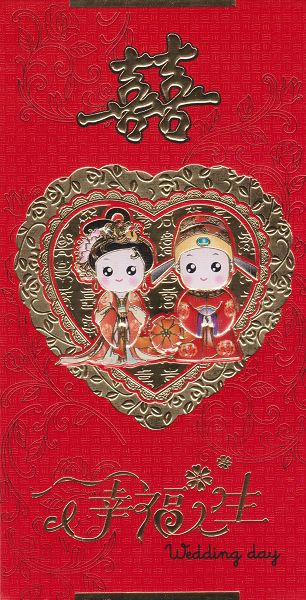 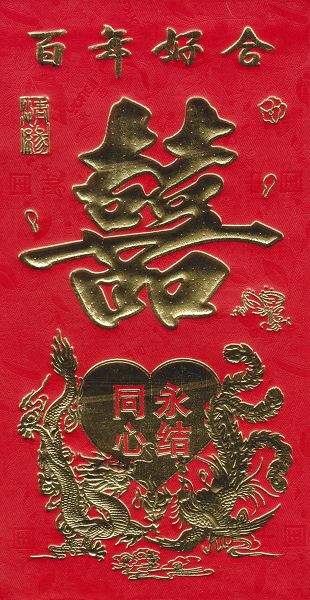 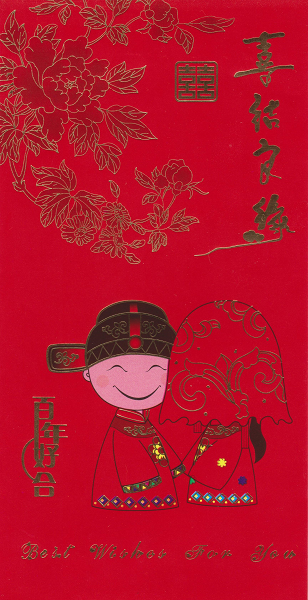 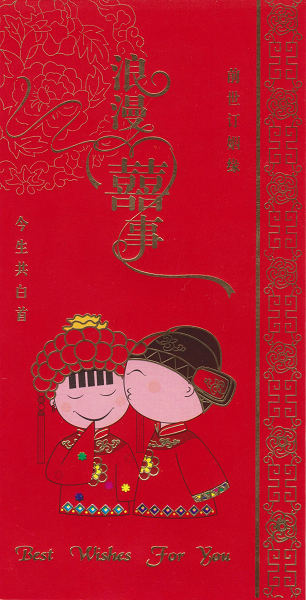 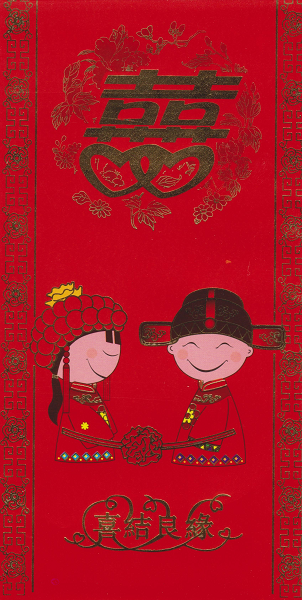 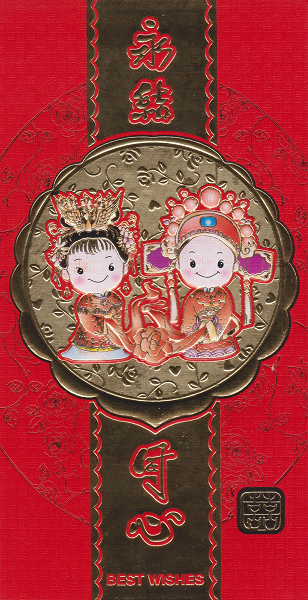 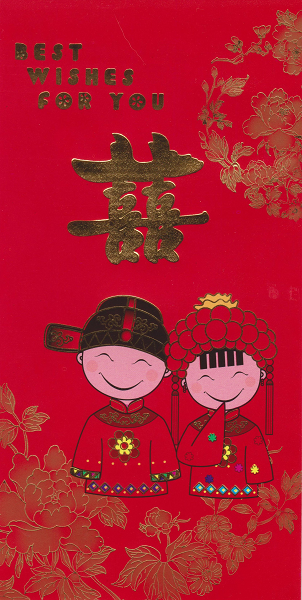 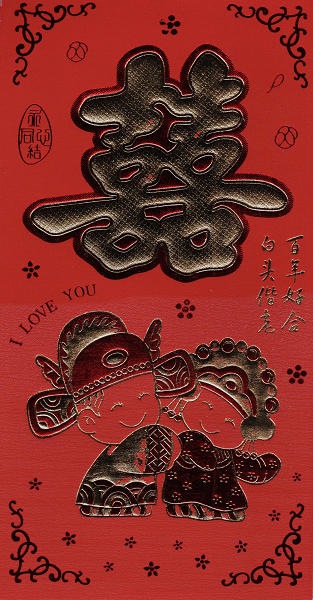 Red Chinese wedding day envelopes with a double happiness symbol, wedding greetings, love hearts, oriental flowers and teddy bears. 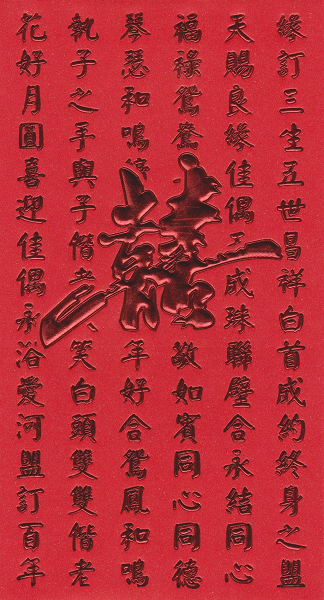 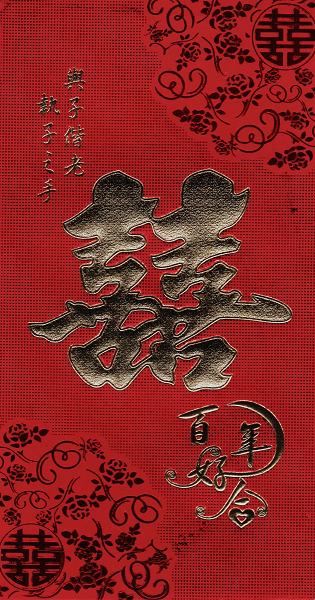 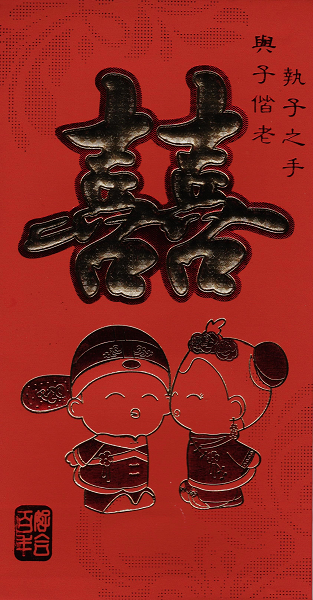 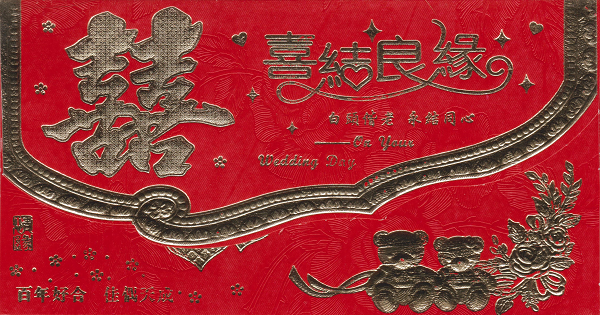 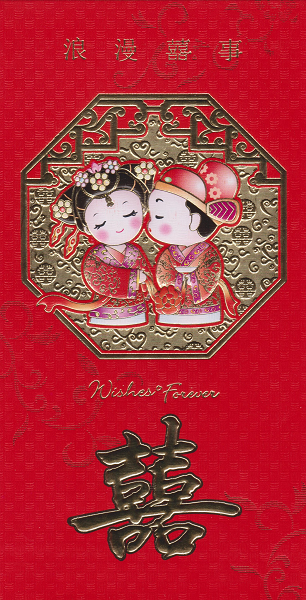 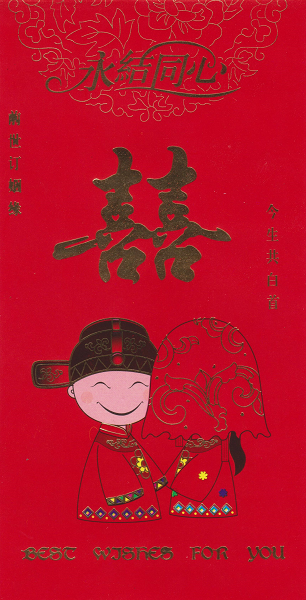 The envelope is adorned with "wedding day best wishes", and a "on your wedding day" message in English. 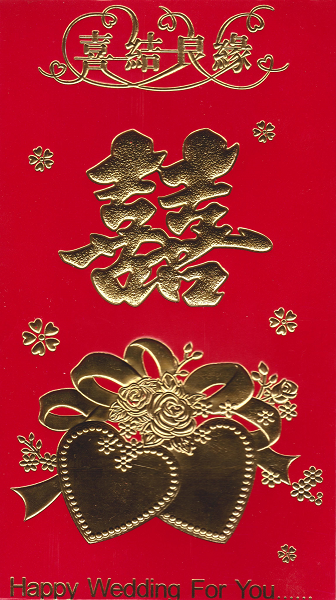 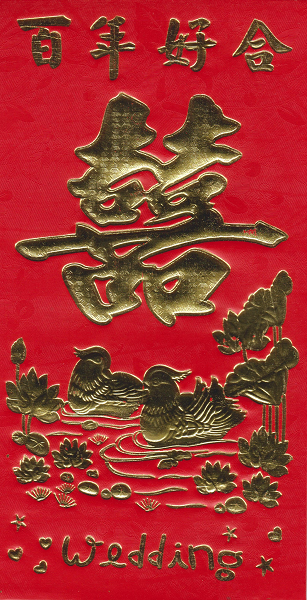 Made using glossy red card decorated with embossed gold colour foil.